Q2. Who are e-bogu.com ? Q4. Is my child too young to start Jodo? Q5. Am I too old to start Jodo? Q9. I have leaned different branch or martial arts. Can I practice? 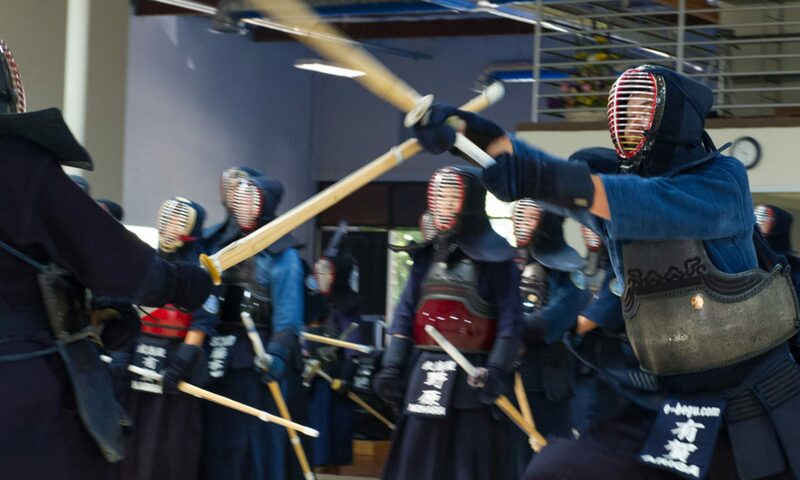 Jodo is the ‘the way of sticks’ and is the old martial arts known for 400 years. The Jo (sticks in Japanese) looks ordinary but once we use it, it changed to a spear, a partisan or a sword. e-bogu.com Inc. is a company that runs our facility, Butokuden. Enshin Irvine members pay registration fees and tuitions to e-bogu.com as all the instructors are voluntary and for non-profit. e-bogu.com also provides members uniforms and equipments with whole sale prices. You can come see any of our scheduled classes. No prior appointment is required. Check our latest class schedules at www.butokuden.com. We also encourage you to take a free trial class as doing is better way to examine than seeing. You can join our class with any sporting outfit. It would be better if you are taller than 128cm (50inch) since you need to hold Jo which has 50inch from end to end. We practice Kata, which is the reference guide for a set of moves, so that you don’t need to stamina or power. You can start any time. It doesn’t matter if you are man,women, young or old. We currently offer 2 class opportunities per week. You can take as many classes as you wish at the same monthly fee. As of July 2010, these are the costs you usually need to start. Please be advised the amounts may change any time in future. As of July 2010, the tuition is $50 per month and family members get 10% discount. Also if you’d like to more than 2 martial arts, the tuition is negotiable. Please be advised the amounts may change any time in future. No problem. Please note we practice Seitei Jodo by the All Japan Kendo Federation. Send an email to jodo@butokuden.com. Or, you can ask any instructors at our facility before or after a class.